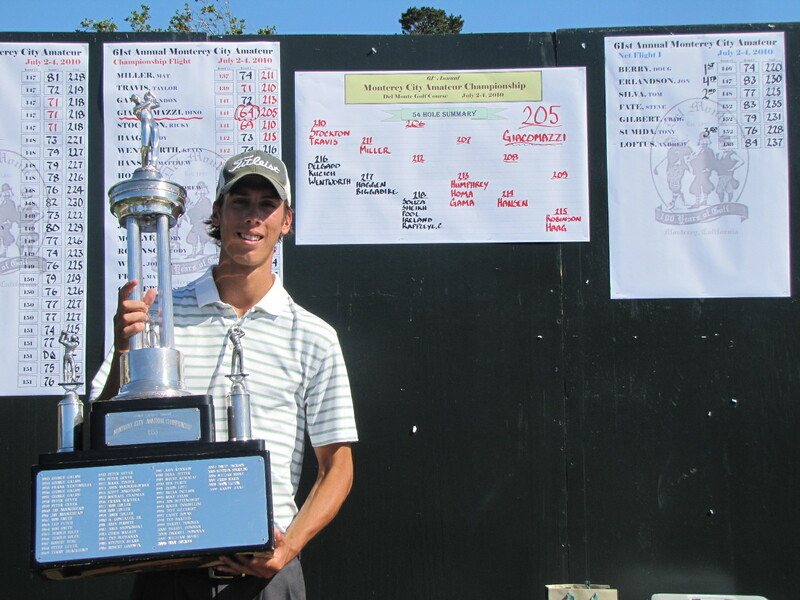 Dino Giacommazzi fired an impressive 64 to capture the 2010 Monterey City Championship. His round was highlighted by an exclamation mark eagle on the 17th hole to secure the victory. On a later post I’ll share an interview I did with Dino who is a fine young man and talented player. As always Del Monte was in superb shape and tested the skills of the great amateur field assembled here for this outstanding three day event. Although I would have preferred to be “in the hunt” on the back nine, I was pleased that while defending I was able to eek out a top ten finish against a very strong young field. I get a kick out of the difference between guys my age that think I’m a BOMBER, when I was the short hitter in my group all three days. 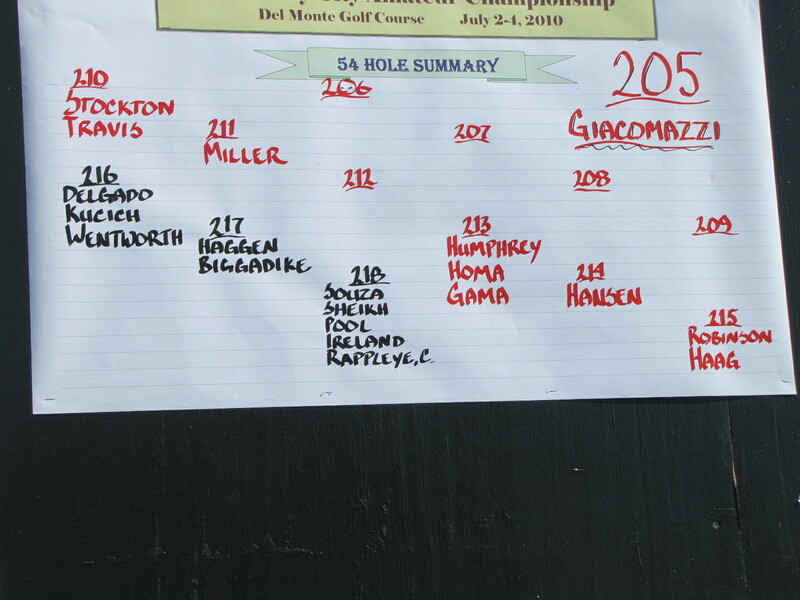 I was especially impressed with Ricky Stockton length off the tee while he can only be 5′ 9″ and 150lbs. Many of his 300+yard bombs where fun to watch (Ricky Drove the par 4 10th hole). I thoroughly enjoy competing against the younger generation and it’s quite a feat to see a 64 fired with the difficult Sunday pins we always get on the last day of this event.